In this May 9, 2017, file photo, U.S. passports lie on a table in Dallas. Dozens — perhaps even hundreds — of Rio Grande Valley residents now have a special kinship with former President Barack Obama: Donald Trump is questioning the authenticity of their birth certificates. 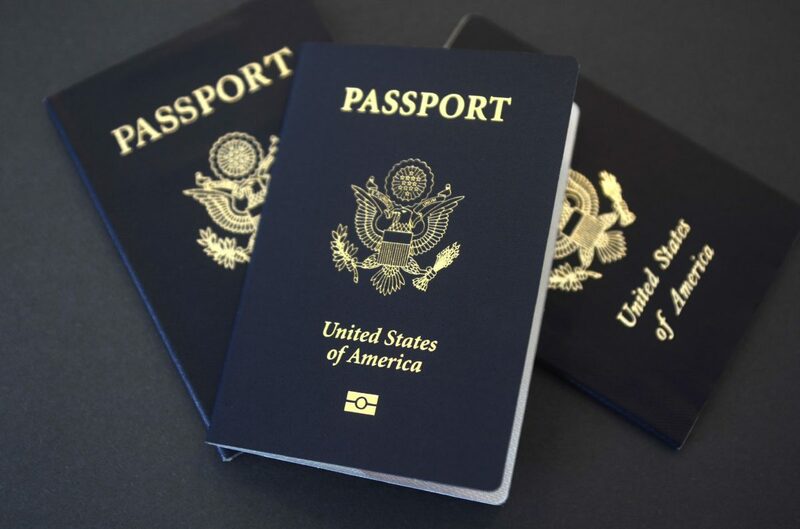 Residents reportedly are receiving notices that their applications for new or renewed U.S. passports are being rejected. Some have been detained by Immigration and Customs Enforcement officials, and some who have tried to re-enter this country with current passports have seen their passports confiscated and been denied entrance. Some have been deported. All of them are lifetime U.S. residents and some are decorated military veterans. And all have U.S. birth certificates. Most of those targeted were born outside of major hospitals; midwives delivered them at home, a clinic or community health center. It’s a common practice in an area such as the Valley, where a large percentage of the population has low income and lacks insurance that would help pay hospital and obstetrician costs. Some families simply choose a more natural birth at home rather than at the more impersonal setting of a hospital. They should not have to fear that their choice could subject their children to possible expulsion from their home country. Some of those targeted, however, were born at local hospitals. For some reason, people who were delivered by the late McAllen obstetrician Jorge Treviño also are being targeted. The Trump administration has refused to say why it has flagged people delivered by Treviño, who died in 2015 and who, it is presumed, utilized local medical centers. The government also has refused to provide any information on the midwives it has targeted and the reasoning for doing so. The anger and frustration of those affected is understandable, especially since we’ve been through this before. And it should have been settled by now. Rejection of birth certificates began under the George W. Bush administration, after some midwives were convicted of fraudulently preparing certificates of U.S. birth for babies who were born in Mexico. Even if those cases were a minute portion of the midwives’ deliveries, they threw into doubt all of their other certificates. The ACLU in 2008 filed a class-action lawsuit, Castelano v. Rice, challenging the rejections. It carried over into the Obama administration, replacing new Secretary of State Hillary Clinton as defendant when she replaced Condoleezza Rice. The Obama administration settled the lawsuit, setting standards for information that would support claims of U.S. birth and allowing the plaintiffs to resubmit their passport applications without paying new fees. The Trump administration needs to recognize those standards or set new ones so that people actually born in this country know what to do. Natural-born Americans shouldn’t fear wrongful deportation or have to live their lives in limbo without the documentation they need to travel, conduct business and vote. Midwives must remain an option for people who can’t afford hospital births, or who simply prefer that option. Acceptable procedures must be established so people born outside of hospitals don’t have to fear getting kicked out of the country in the future. And border residents need to know that at any time the whims of our government officials could turn innocent decisions such as the use of a midwife into a nightmare for their children.